Slow roasting the almonds makes them buttery and delicious. 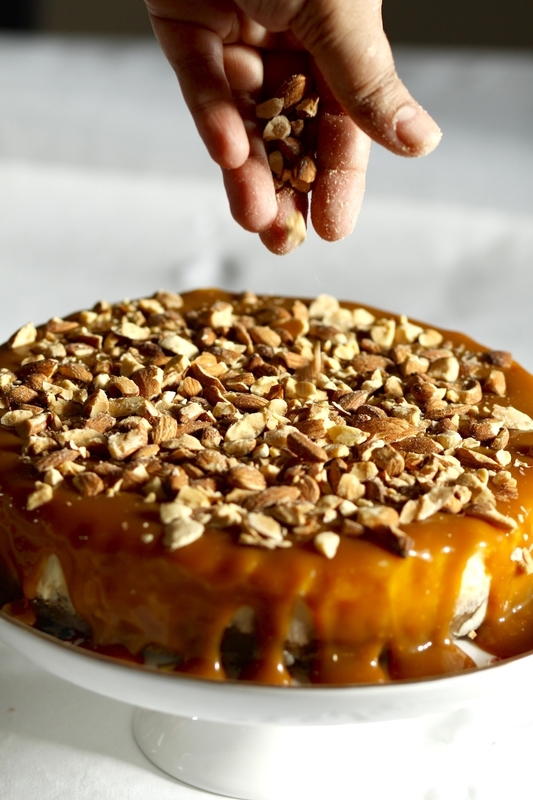 Smooth vanilla cheese, salty nuts and caramel makes this a rich and satisfying dessert. Put the almonds in a food safe plastic bag. Pour in the butter and zip the bag. Toss the almonds in the butter to coat all of them as evenly as possible. Place them in a large non-stick saucepan on a slow flame and let them toast. Toss from time to time until they are fragrant and golden about 20 minutes. Cool completely then put them into a thick food-safe plastic bag and bash them into smaller pieces with a rolling pin. These almonds can be made ahead and kept refrigerated in a sealed container. In a mixer grinder powder the digestive or graham crackers. Pour into a bowl and stir in the butter. Press crumbs down on the bottom of an 8-inch round springform pan. Bake 6 minutes and remove from oven. Then reset oven to 300F and prepare the bottom rack. Let crust reach room temperature. Using an hand or electric mixer, whip the cream cheese until smooth. Add the eggs, continue to beat slowly. Add sugar, vanilla, lemon or lime and yogurt or sour cream and beat until creamy, for 1 to 2 minutes. Add sour cream, lemon zest, and vanilla. Scrape down the sides of the bowl and stir well. Pour the filling over the cooled crust-lined pan and bang the pan against the counter to settle the batter and remove any air bubbles. Smoothen top with a spatula. Cover with aluminum foil. Prick 8-10 small holes into the foil to allow air to escape. Bake in lower rack of 300F oven or 55-60 minutes or until cheesecake center is still a bit wobbly. After 20 minutes remove the foil and bake open. Reserve foil. Using a toothpick insert into the center. Toothpick should be wet but the cheesecake shouldn't ooze liquid. This is a custard so it will firm up a lot more when chilled. Be careful not to over bake. Use a sharp knife to loosen the sides of the cheesecake just a little. This reduces large cracks in the center of a hot cheesecake. Do not attempt to loosen the sides completely while the cheesecake is hot just select 2-3 spots along the rim and loosen the cake a bit. Let cool open in your kitchen in the cheesecake pan for 45 minutes. Cover loosely with the same foil. Make more holes in it to allow heat to escape. In a skillet on medium heat dissolve brown sugar, corn flour, milk and cream. Add butter and stir until smooth, thick and bubbly. Strain through a sieve. Reserve. In a small copper bottomed pan heat granulated sugar with 1/4 cup of water. Do not stir. You can swirl the pan about but do not use a spoon to stir the sugar. It will become grainy. Cook until sugar caramelizes to a soft golden color. Turn off flame. Sugar will continue to cook in the heat of the pan so do not over cook it. If the color is too light you can always return it to the heat. Remove caramelized sugar from the pan and let it rest no more then 5 minutes. Then pour the cream and brown sugar mixture into it very slowly stirring vigorously. The mixture will bubble. Strain the sauce with a fine sieve and discard any bits and pieces. Cover the hot sauce with plastic wrap, pressing it down on the surface to prevent it from forming a skin. Spread the cooled caramel sauce over it. if the sauce is too thick add a little milk to thin it down. Sprinkle with Fleur de Sel. Garnish with slow roasted almonds just before serving. Remove cheesecake from the fridge and let it sit about 20 minutes. Garnish with roasted almonds. Slice the cheesecake with a thin, non-serrated knife. Between each slice dip the knife in hot water, wipe and slice again. This will make it a little easier to cut even slices. Use your leftover peanut butter or jam jars to make this simple layered dessert that everyone loves. Its so much cheaper to make it at home. Not counting the cost of the jars or the gas for cooking the Dulce this dessert is about Rs 100/$1.30 per portion when made at home. So if you have a large gathering its perfect. Its eggless and kids and adults love it. These jars are easy to store in a fridge, look great and can be washed and reused. Check out my lemon curd and strawberry jars for other Jar desserts. STIR THE CONDENSED MILK AND BROWN SUGAR IN A NON-STICK PAN OVER A LOW FLAME UNTIL MILK THICKENS AND CARAMELIZES TO A GOLDEN BROWN COLOR. STIR REGULARLY TO PREVENT BURNING. COOL 15 MINUTES THEN COVER TIGHTLY WITH PLASTIC WRAP PRESSING THE WRAP DOWN ON THE SURFACE OF THE MILK TO PREVENT A SKIN FROM FORMING. YOU SHOULD HAVE ABOUT 1.25 CUPS. .25 CUPS PER JAR. 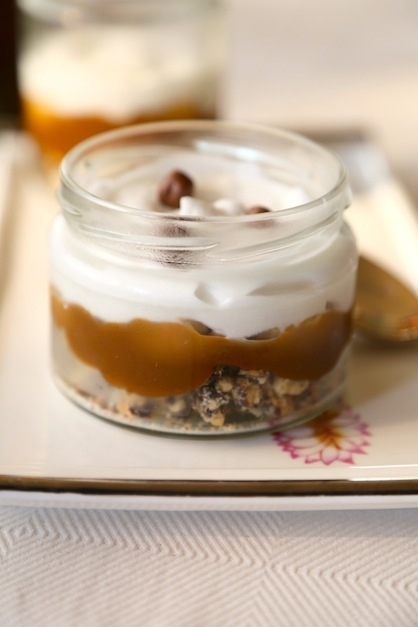 COOL COMPLETELY BUT DON'T REFRIGERATE IF YOU PLAN TO MAKE THE BANOFFEE IMMEDIATELY. YOU NEED THE DULCHE DE LECHE AT ROOM TEMPERATURE. YOU CAN THIN THIS DULCHE DE LECHE WITH WATER OR MILK WHEN YOU ARE READY TO MAKE THE JARS. YOU WANT A THICK SPREADABLE CONSISTENCY SO ADD WATER OR MILK CAREFULLY. PEEL AND SLICE BANANAS INTO 25 SLICES. MELT BUTTER IN A SKILLET AND CARAMELIZE BANANAS UNTIL SLIGHTLY GOLEN ON EITHER SIDE BUT HOLDING THEIR SHAPE. YOU CAN USE RAW SLICED BANANAS TOO AND SKIP THIS STEP. WHIP CHILLED 200 ML CREAM WITH VANILLA AND CONFECTIONERS SUGAR TO SOFT PEAKS. DIVIDE BISCUIT CRUMBS BETWEEN 5 JARS. SPOON 1/2 TBSP LIQUID CREAM OVER BISCUIT BASE. SPOON OR PIPE THE THINNED DULCHE DE LECHE BETWEEN THE 5 JARS MAKING SURE TO COVER THE BISCUITS AND LINE SIDES OF THE JAR AS EVENLY AS POSSIBLE. LAYER WITH SLICES OF BANANAS. DECORATE WITH CHOCOLATE SHAVINGS, NIBS, TOFFEE OR BISCUITS CRUMBS OR ANY SUITABLE DECORATION OF YOUR CHOICE. COVER TIGHTLY WITH THE LID AND REFRIGERATE 2-3 HOURS OR UNTIL READY TO USE. THIS DESSERT SHOULD BE GOOD FOR 2 DAYS AS LONG AS ITS REFRIGERATED. 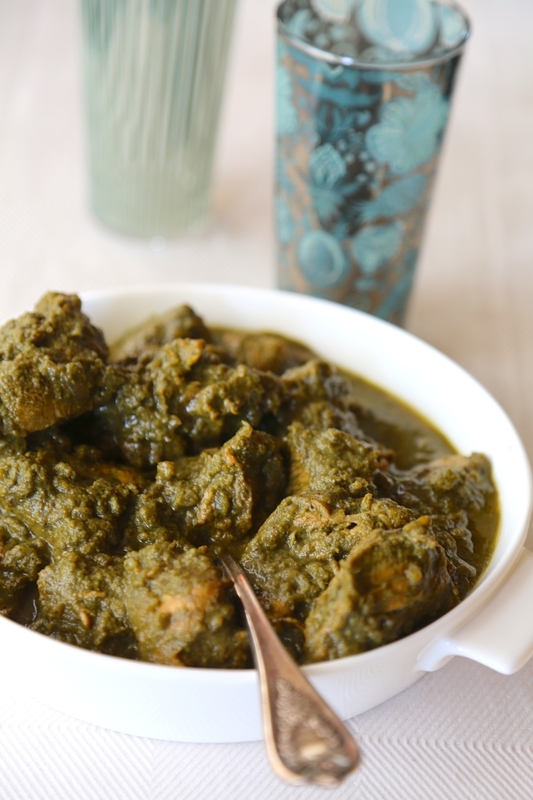 THIS RECIPE CAME TO MY GRANDMOTHER FROM A GOAN NEIGHBOR WHEN MY GRANDFATHER WAS STATIONED IN VASCO. MANY GOAN DISHES ARE A FUSION OF INDIAN AND PORTUGUESE CULINARY TRADITIONS BUT IN THE CASE OF CAFREAL THERE ARE ALSO ELEMENTS OF AFRICAN CUISINE. GALINHA IS CHICKEN IN PORTUGUESE. THE USE OF VINEGAR AND RUM COMES FROM EUROPE WHILE THE SPICES ARE OF INDIAN ORIGIN. PERI-PERI CHILLIES OR AFRICAN BIRD CHILLI ALSO CALLED PIMENT MALAGET WAS BROUGHT TO GOA BY THE PORTUGUESE WHO COLONIZED MOZAMBIQUE IN SOUTH EAST AFRICA FROM 1505 FOR NEARLY 4 CENTURIES. THE DISH 'FRANGO A CAFRIAL' IS STILL EATEN IN MOZAMBIQUE. AT HOME IN GOA WE CALL PERI PERI 'TAROTI MIRSANGI' IN KONKANI. THIS SMALL BIRD CHILLI IS SPICIER THAN THE GENERIC INDIAN GREEN CHILLI. 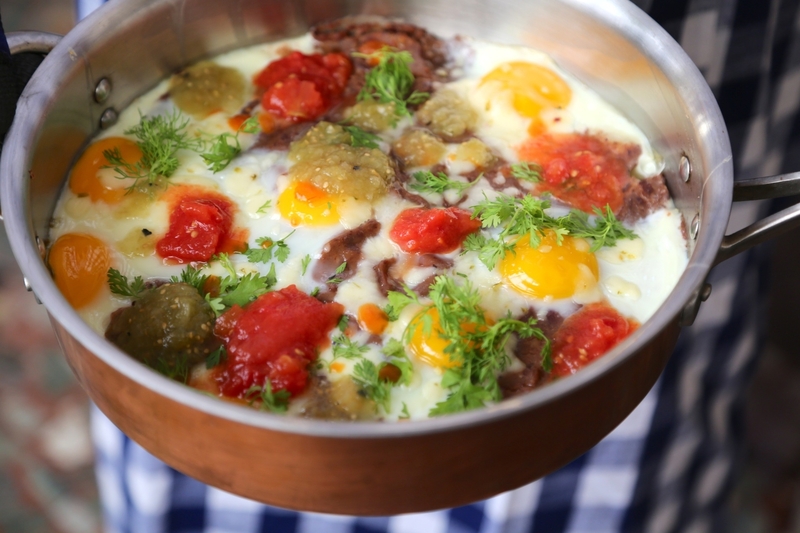 THIS DISH IS ALSO POPULAR AMONG THE MACANESE - A COMMUNITY OF CHINESE AND PORTUGUESE ORIGIN FROM MACAO. IN AFRICA AND MACAO THE CHICKEN IS GRILLED OR ROASTED. WHILE MOST GOAN RESTAURANTS WILL SERVE YOU A PAN SAUTEED VERSION, TYPICAL OF THE INDIAN STYLE OF COOKING FAVORED BY EUROPEANS. 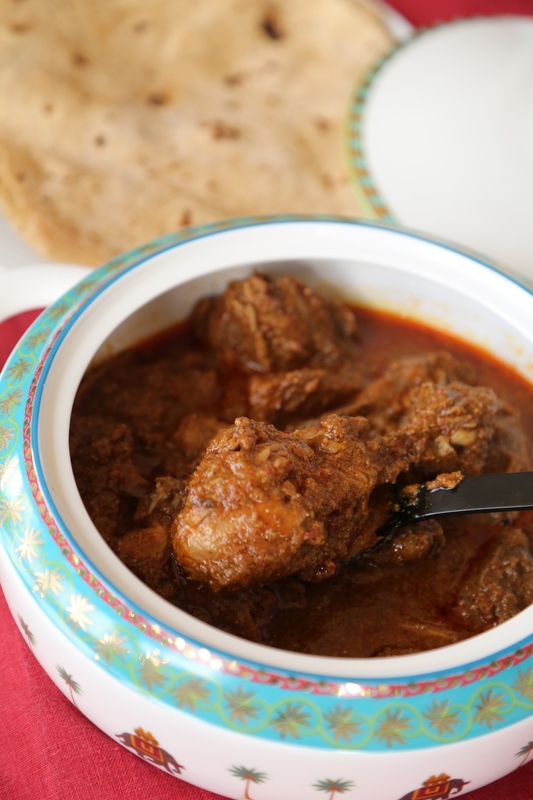 THIS DISH IS TRADITIONALLY PREPARED WITH CHICKEN AND SERVED WITH POTATO WEDGES AND BREAD (UNDDO OR PAO) BUT YOU CAN USE HARDBOILED EGGS OR BOILED POTATOES IF YOU ARE VEGETARIAN SINCE THE MASALA ITSELF IS PURE VEGETARIAN. WASH, DRAIN THE CHICKEN. ADD SALT AND TURMERIC. COVER, PLACE OVER A BOWL TO DRAIN AND RESERVE. USING THE BONES, YOU COULD PREPARE STOCK OR USE READYMADE STOCK. PUREE THE CILANTRO , SUGAR AND GREEN CHILLIES AND RESERVE. USE SOME OF THE CHICKEN STOCK IF REQUIRED TO FACILITATE GRINDING. RESERVE. GRIND THE WHOLE SPICES-CLOVES, PEPPERCORNS, CUMIN AND CINNAMON TO A SMOOTH AND FINE POWDER. ADD 1/4 CUP ONION, KETCHUP AND 1 TEASPOON SALT AND GRIND TO A SMOOTH PASTE. RESERVE. HEAT OIL IN A SKILLET ON MEDIUM HEAT. ADD 1/2 CUP CHOPPED ONIONS AND SAUTE UNTIL TRANSLUCENT. ADD GARLIC AND GINGER PASTE AND SAUTE UNTIL FRAGRANT ABOUT 2 MINUTES. ADD DRAINED CHICKEN AND TOSS TO SEAR ABOUT ONE MINUTE. IF YOU ARE USING EGGS SKIP THIS STEP AND MOVE TO THE NEXT. ADD GROUND WHOLE SPICE AND ONION PASTE AND TOSS TO COAT ABOUT 1 MINUTE. STIR IN 1/2 CUP STOCK, LOWER FLAME TO LOW AND COOK CHICKEN 10 MINUTES TOSSING TO PREVENT BURNING. ADD CILANTRO AND CHILLI PASTE WHEN CHICKEN IS ALMOST ENTIRELY COOKED. MIX WELL. COOK ON LOW FLAME UNTIL CHICKEN IS DONE. IF THE CHICKEN APPEARS DRY- CAFREAL HAS A THICK GRAVY-ADD THE LIQUID DRAINED FROM TEH CHICKE PIECES AND COOK ANOTHER 2-3 MINUTES ON A SLOW FLAME. SWITCH OFF FLAME. STIR IN RUM AND VINEGAR AND SALT TO TASTE. IF USING EGGS SLICE THEM IN HALF AND LAY THEM OVER THE MASALA. SERVE HOT WITH POTATO WEDGES, BRUN PAO, ROLLS OR CHAPPATIS. Wash and dry the eggplants. Hold them up vertically. Slice them lengthwise into 4-5 long flat oval pieces. Sprinkle generously with salt and place in a colander for 1-2 hours. They will lose a fair amount of water so place the colander over a bowl. Meanwhile heat olive oil. Add bay leaf and cinnamon stick followed by the onions and saute until tender and translucent. Add garlic and saute 1-2 minutes. Add minced meat or soy meat of your choice, allspice and ginger and saute until all the meat is cooked and very dry about 20 minutes on medium flame. Stir from time to time to prevent burning. Stir in the oregano, chillie flakes, chopped parsley, tomatoes, tomato paste and red wine and continue to cook until you have a thick gravy. Stir in your flour and continue to cook until thick. If it oozes too much water it will drench the eggplant slices. Adjust salt, red chilli flakes and honey. For the eggplant: Heat the vegetable oil in a 12-inch skillet over medium-high heat. pat the eggplant dry. Working in batches, add the eggplant slices and fry until tender and lightly golden brown on both sides, about 5 minutes. Transfer the eggplant slices to paper towels and wipe to remove excess oil. For the bechamel: Melt the butter in a medium saucepan over medium heat. Add the flour and cook, whisking constantly about 1-2 minutes. Still whisking add the milk and cook until thickened. Season with salt, pepper, and nutmeg. Let the sauce cool then stir in cheese. Preheat the oven to 400 degrees F. Line a baking tray with parchment. Lay down all the eggplant slices. Top generously with the meat or soy meat. Spoon over some bechamel and top with some ore cheese. Serve with warm sliced pita or garlic bread. You can make this as a layered casserole also. 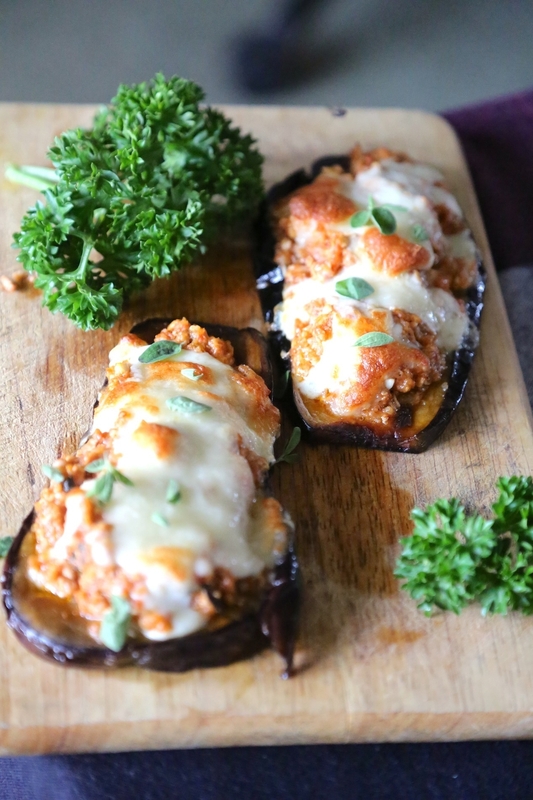 To assemble: Put half the eggplant slices in the dish and cover with half the meat sauce. Top the sauce with the remaining eggplant slices, and then the remaining meat sauce. Pour the bechamel over the top of the meat sauce and spread evenly with a rubber spatula. Sprinkle more cheese over the top, place the dish on a baking sheet, and bake until browned and bubbly, 45 to 50 minutes. Top with more chopped parsley, if desired. Let cool for at least 20 minutes before serving. Also called Shaguto in Konkani and Xacuti in Portuguese. It is a culinary gem of the Goan diaspora but its origins I believe are to be found in Saraswat cooking. It is made somewhat differently by Goan Catholics and Hindus. While the versions I am familiar with were always made with meat some families also prepare it with fish. Bedgi, Kashmiri or Bicholim chillies are used in its preparation. My recipe has a rich, deep copper tone gravy. During the monsoon it is made with Gud Gud Alambe or Thunder Mushrooms that become available for a brief time and is vegan. This is my great grandmother’s recipe and tastes better the next day. It is best eaten with Pao, Chappatis, Katri, Unno, Tandlachi (rice) Bhakri and if at all with plain white rice. In my book A Sense for Spice i have an alternative recipe that doesn't require Dagadphool or marathi moggu and is a little less spicy. Wash the chicken and set aside to drain. if using mushrooms dont wash them. Wipe them with a damp cloth. Trim the stems and then slice into 4 pieces each. Sprinkle with 2 teaspoons salt and let them drain 2 hours in a sieve. Pat dry with a clean cloth before using. Pour the oil for the spice paste in a small, dry skillet heat on medium heat. Sauté the whole spices and onions for about 3-4 minutes, stirring constantly, till golden and fragrant. Cool and grind coarsely. Add a little water if required to facilitate grinding. Add the green chillies, ginger and garlic and grind to a fine consistency. Reserve. Pour the oil for the coconut paste into the same skillet on medium heat. Toast the coconut first for about 7-8 minutes until it starts turning a light brown.The coconut must brown to produce a deep brown and robust gravy. Add cashewnuts and poppy seeds and continue to roast until golden brown and fragrant. Cool and grind to a fine consistency, adding a little water, if required to facilitate the grinding. Reserve. Heat 4 tbsp oil in a large pan. Add the bay leaves and sauté for 30 seconds. Add the onions and sauté for 2 minutes, till translucent. Stir in the spice paste and sauté for 3-4 minutes on medium heat, stirring continuously, till the paste begins to thicken and release oil. Add the chicken or mushrooms and sear it in the spices for 2-3 minutes. Reduce heat to medium, cover the pan and simmer for 30 minutes if using meat and 15 minutes for mushrooms. Stir in the coconut paste and toss well. Add water if required to thin the gravy. Xacuti has a thick gravy so add water with care. Cook uncovered on low heat for 3-4 minutes. Reheat the curry the next day and serve hot with flatbreads or plain, boiled, white rice. Peel and core all the guavas.Slice them in half through the middle, horizontally. Gently scoop out the seeds using a teaspoon. Make sure to keep the halves intact. In a 6-8 inch wide and 4-5 inch deep skillet add the sugar and spices. Then place the 6 halved guavas over the sugar. Pour enough water to cover the guavas in 2 inches of excess water. Cover with a piece of round parchment or wax paper. Press the paper down over the fruit. This ensures even cooking. Cook on a slow flame approximately 75 minutes until guavas are tender and syrup is caramel in colour. After 30 minutes of cooking remove the paper and turn the guavas around. Replace parchment paper over the fruit and continue cooking until syrup thickens.You should have about 1.25 cups of thick syrup. Spoon guavas into individual serving bowls. Strain the syrup through a sieve. Discard any spices and seeds. 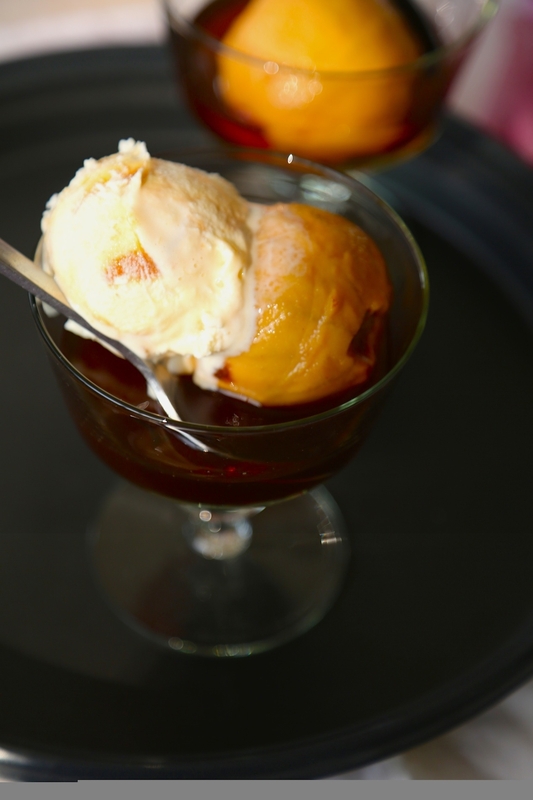 Drizzle the hot syrup over the poached fruit. Top if desired with vanilla ice cream or whipped cream. Guavas can be served chilled or hot.